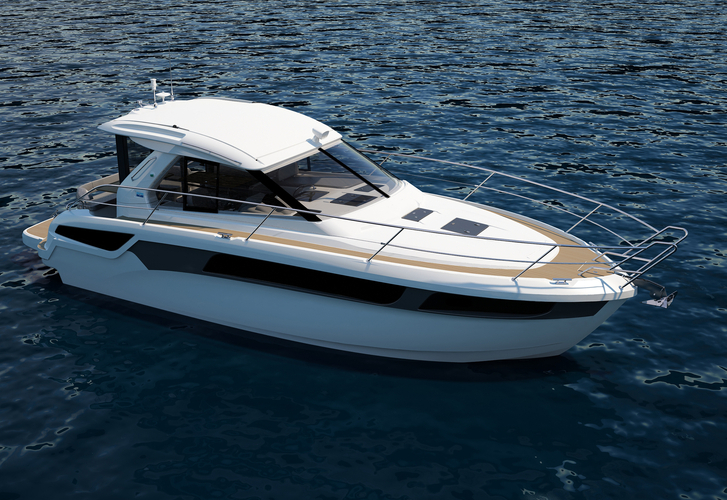 Mike & Cat is a name of vessel Bavaria 360 Coupe ,which has been manufactured in 2015. You can rent this boat from base Athens in the surrounding area of Athens. Mike & Cat is furnished with 4 beds. Berths on the boat are arranged in 4 layout. 2 cabins are placed inside the boat Mike & Cat. Analyze more vessels in this section: Motorboats Athens. Guests can feel comfy on this yacht , because there are 1 WC with showers for their disposal. With 520.00 l Diesel liters in fuel tank you can sail really far and still be independent because of 250.00 l liters in water container. Mike & Cat is supplied with motor 2 x 260 PS/hp. Vessel's dimensions are: LOA - 11.68 m , beam - 3.59 m and 1.15 meters of depth. Security caution there is 3000.00 EUR. In our search machine you can quickly check avalailability of sailing boat Mike & Cat from Athens by navigating to this section: Motorboats Greece.